Made in Brest region, has USSR label on bottom. Largest doll measures 3 3/4 inches tall. Has very small chip on the largest dolls hands. 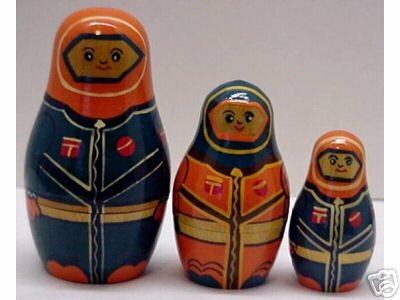 A picture of this set can be found in "A Collectors Guide To Nesting Dolls" on page 38.